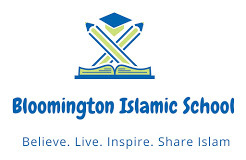 About The Bloomington Islamic School is a subsidiary of the Islamic Center of Bloomington. Bloomington Islamic School is located in the city of Bloomington, Indiana. The school was opened to meet the growing need of the many Muslim families that go to school, work and live in the Bloomington community for an Islamic alternative to the Bloomington public school system.